There are 20 posts in this thread, and it has been viewed 12438 times. Fast Striker. What do you think of it? 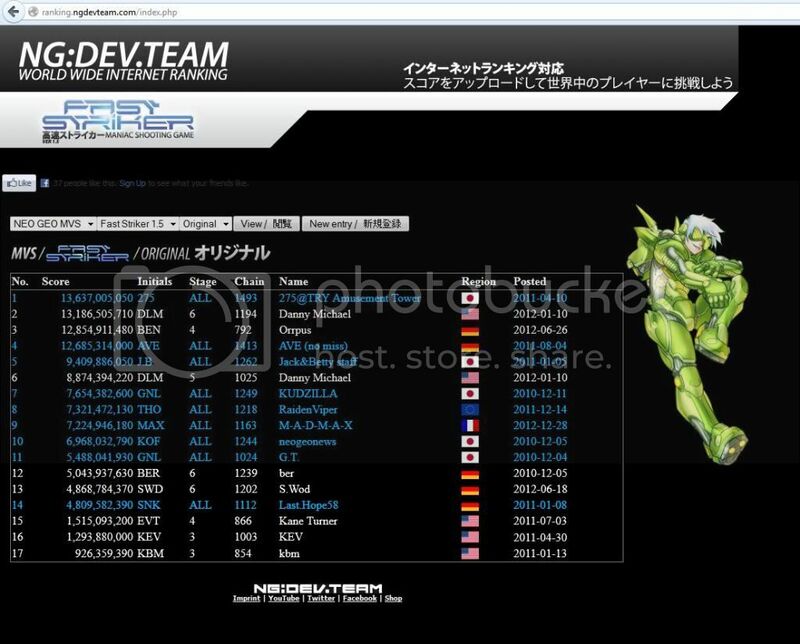 Of course we're talking of NGDEV team, consisting of the siblings Timm and Ren� Hellwig, who brought out Fast Striker in 2010. 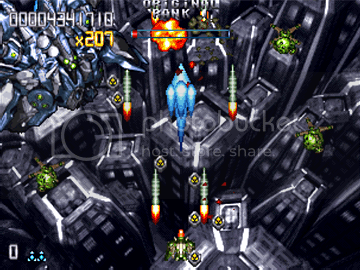 In the style of Mars Matrix, Fast Striker merges pre-rendered graphics with classic Shmup gameplay, alongside with an awesome electronic soundtrack composed by Rafael Dyll. As a classical bullet hell title, Fast Striker satisfied gamers all over the world, even the Neo Geo fans who didn't enjoy Last Hope at all. Until now Fast Striker has been released on the MVS and also for the Dreamcast or iPhone for those who don't want to spend over hundreds of $s for a single cartridge, even an AES version is planned as well. So after all there is a version affordable for everyone, I highly recommend to get a genuine copy as nowadays NGDEV is still developing games for our beloved console. 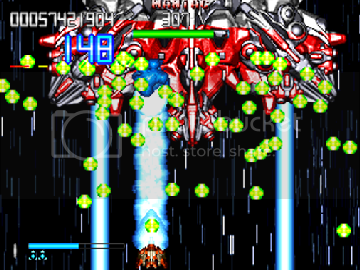 Fast Striker is an arcade-style vertical shooter with a science fiction setting. While the game is essentially 2D, the backgrounds consists of pre-rendered 3D graphics. This game features six stages with over 40 enemy types. You can choose between 3 game modes (Novice, Original and Maniac) with different scoring systems. The modes differ, for example, in the set of available techniques. 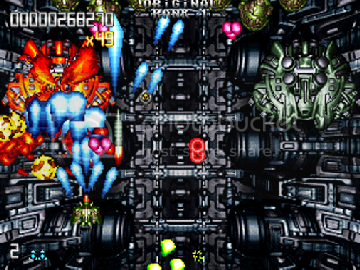 In comparison to the Novice mode, the Original mode features a shield to protect the ship, which can be activated for a short time, and holding the down the spread fire button will also shoot rockets after a few moments. Furthermore, the enemies are colored differently in Novice mode to make them more visible, and you collect golden stars as part of the scoring system. The Maniac mode adds some new ways to get higher scores. For example, the distance between your ship and an enemy influences the score: you get a larger bonus the nearer you are to the enemy ship when you destroy it. Destroying many enemies in short time will also increase the number of awarded points. Last, you can activate a "Grind Mode" by focusing your ship's laser beam on a huge enemy. The beam will turn green after a while and then all destroyed enemies will give a higher score. 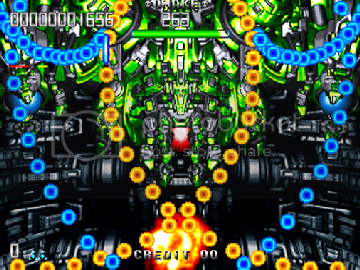 Well I love Fast Striker, even off the Neo Geo it's an awesome shooter, but on it, it is one of the system's best. I don't like novice mode (your weapons and scoring system change with each mode), but the other's are superb. My only criticism is that the bosses are all quite similar in the way they look with the metallic style (probably a criticism that could extend to the levels) but that's just nit picking really. At last someone who's up for a good HSC again, I'll ask Priest to arrange one. Thanks for your enlistment! Well, as I'm not an owner of the Dreamcast version or the MVS cart, I can't participate on this HSC nor discuss the game itself. 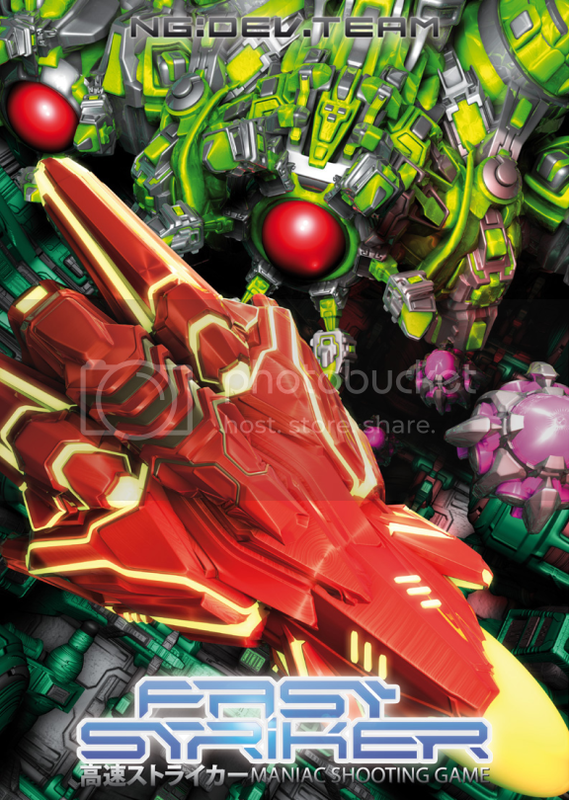 But I sure want to give Fast Striker a go someday, it just looks gorgeous! I'd love to give that game a go. I have it on Dreamcast and think its a great shooter, very professional and polished. Not worth �100s mind that the carts go for but fine if you can afford it. Oh man!! I just so much need to play this game! I guess it's impossible to get the MVS cart now these days so I'll have to pick up the DC version. I've seen the MVS version have some more detail in the graphics department in the intros and stuff which the DC version is missing! As a big SHMUP fan, I want this game for the AES so badly! The gameplay appears refined and solid and it looks like a million bucks. To bad the game costs about that much to buy for the AES! I've only played this a few times in an arcade but really liked it. A very good Cave-style shooter with some cool boss designs and an excellent soundtrack. If I had a Neo cart system or a DC I would definitely buy this. One slight criticism I do have is that the backgrounds are repetitive and lacking in colour. Hey guys, glad I found this thread. I love this game, it is one of my favorite shooters. I've played it quite a bit, and I do own the MVS version. 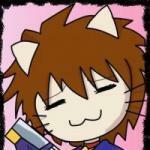 Currently, I'm ranked #2 at original mode on the MVS. I have put a lot of time and heart into this game. I'm not trying to brag or anything by showing my score, just conveying the level of dedication I have with this game. The two things I really enjoy about this game are the music and the razor sharp control. The control is one of the best of any shmup I've played, on par with Silpheed for Sega CD (I know, seems like a bizarre comparison, but if you play that you'll see what I mean). I'm fortunate to have this MVS cart, it's very hard to find and quite pricey. So, was just going to say, if you're in the Denver area and want to check it out, hit me up and you can come play. I didn't take it as a brag, so no sweat. This is just another game that I can only dream of ever playing. Precisely my feelings as well! Proficient players sharing their achievements and mention of owning rare titles isn't interpreted as bragging when, as is the case with your post, that's clearly not the intention. Your participation is very much enjoyed and appreciated! Malignant Poodle wrote :- I have put a lot of time and heart into this game. I'm not trying to brag or anything by showing my score, just conveying the level of dedication I have with this game. Incredible score Poodle . Do you think you will be able to overhaul the Japanese guy in front of you? Perhaps this weekend I can do a run. It's possible that I can overtake the Japanese first place score. There is a lot of room for me to improve. Notice that our scores are very close, and that's with him having bigger chains and completing the game which is something I didn't do. Ok, I'll do a run this weekend and post it. Can't promise any miracles but it will be fun to participate with you guys. I really need to spend more time at this site. People actually enjoy playing games rather than just talking about games here. Did you order the MVS version? I'm interested in that one. I've. Only got a few weeks of waiting around before they start shipping these orders. The bruising on the cartridge,I'm guessing they might be using second hand shells.